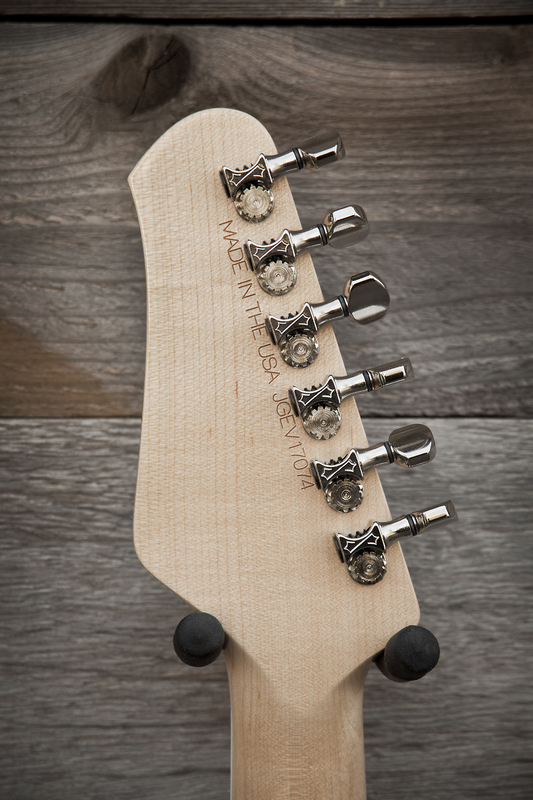 Neck- Maple neck with Rosewood fingerboard, white binding, white mother of pearl block inlays, and a nitrocellulose finish. 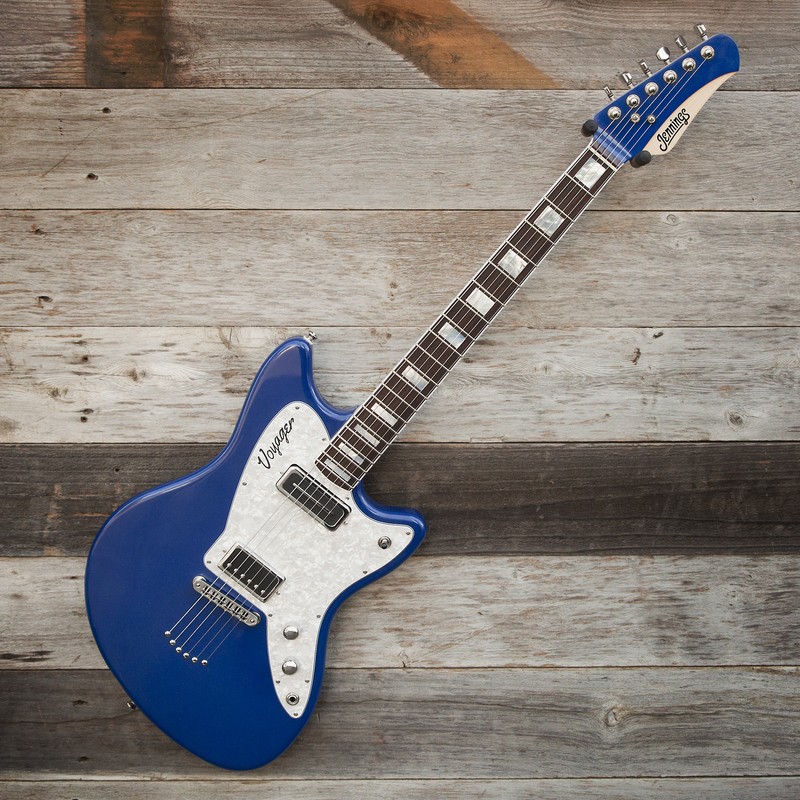 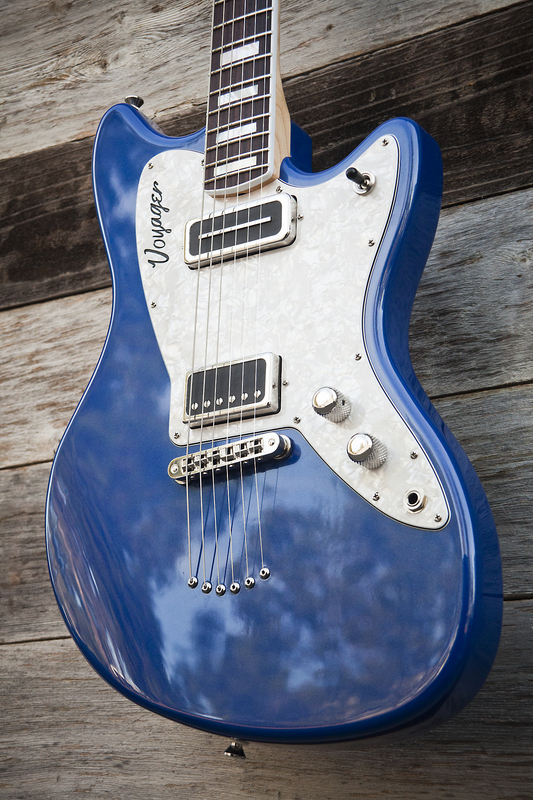 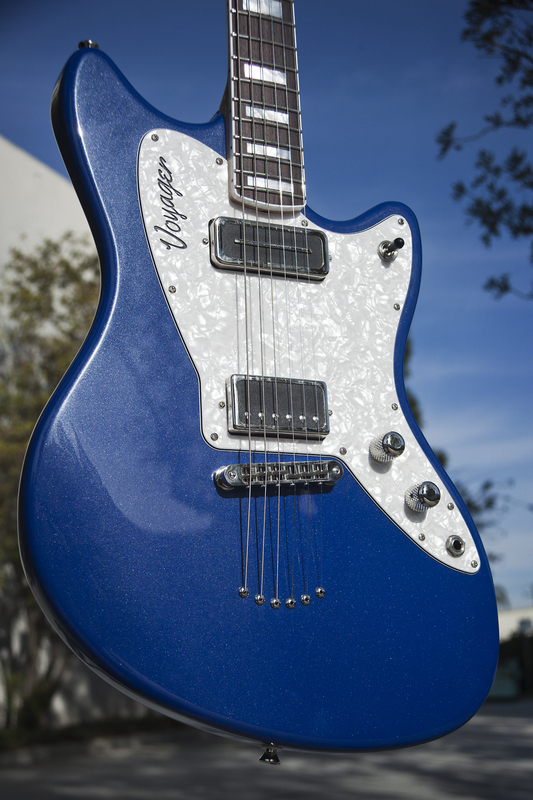 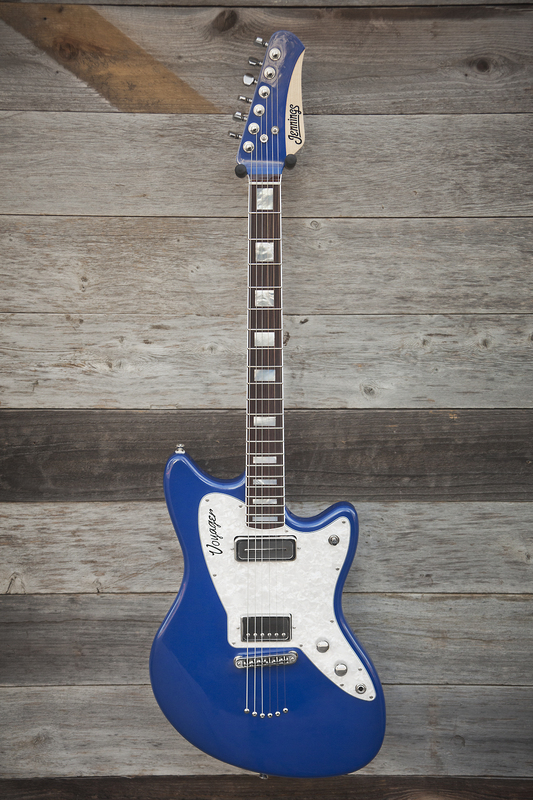 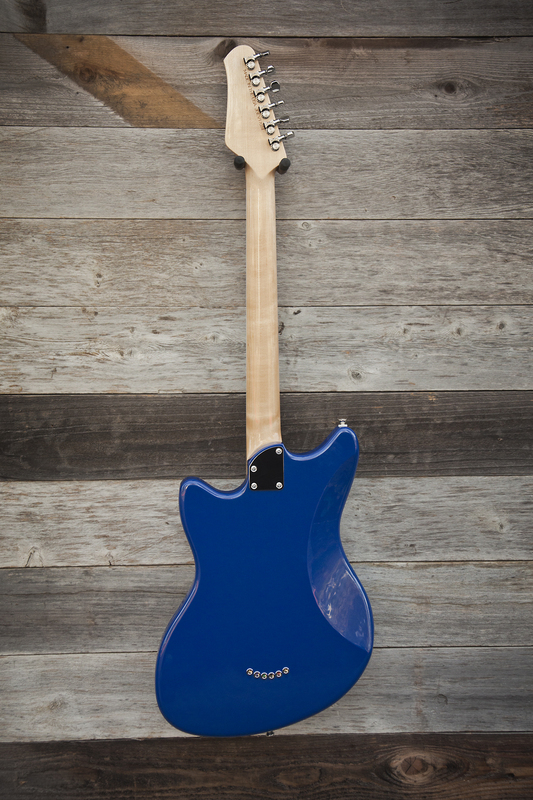 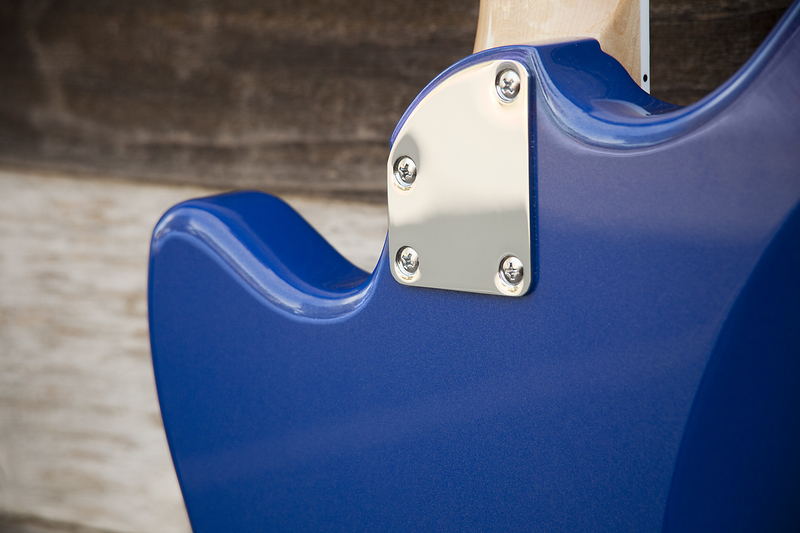 Body- 2 piece alder body with Blue Sparkle nitrocellulose lacquer finish. 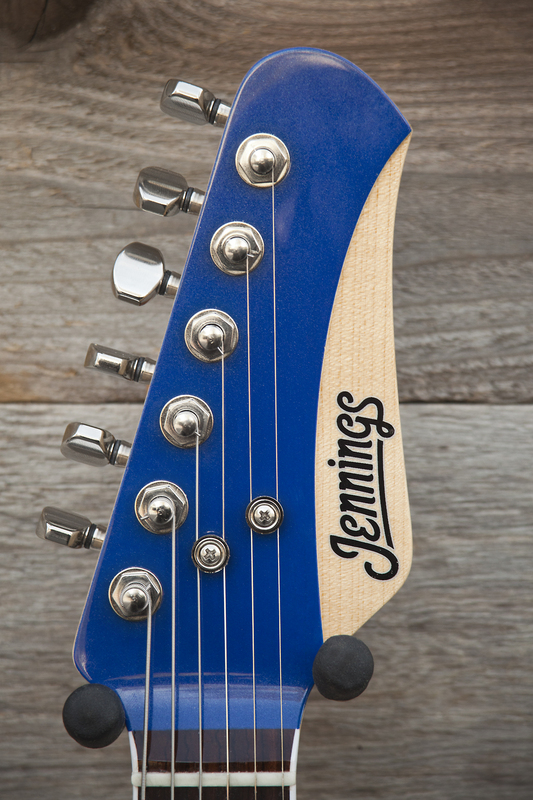 Tune-o-matic bridge w/ through body ferrules. 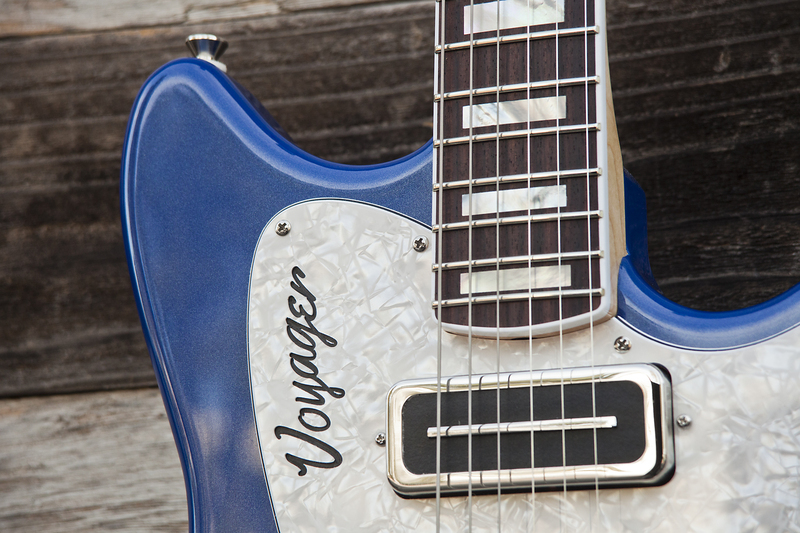 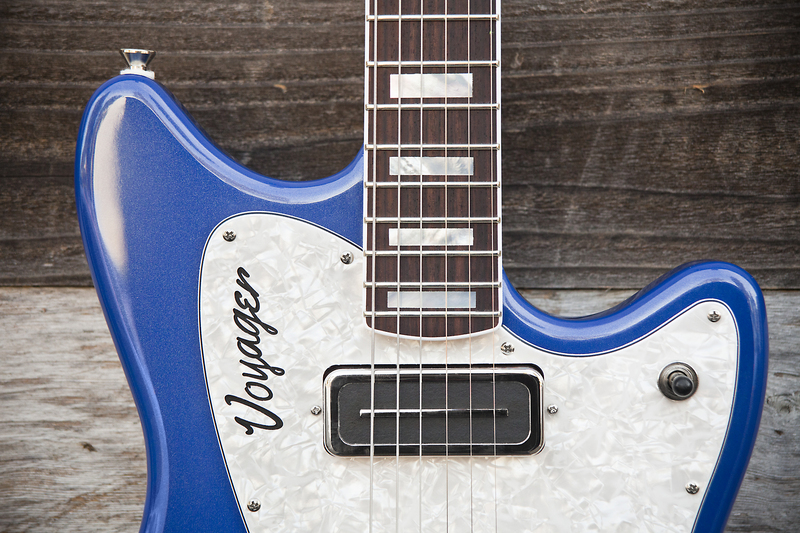 4ply Pearloid Pickguard with “Voyager” engraving.